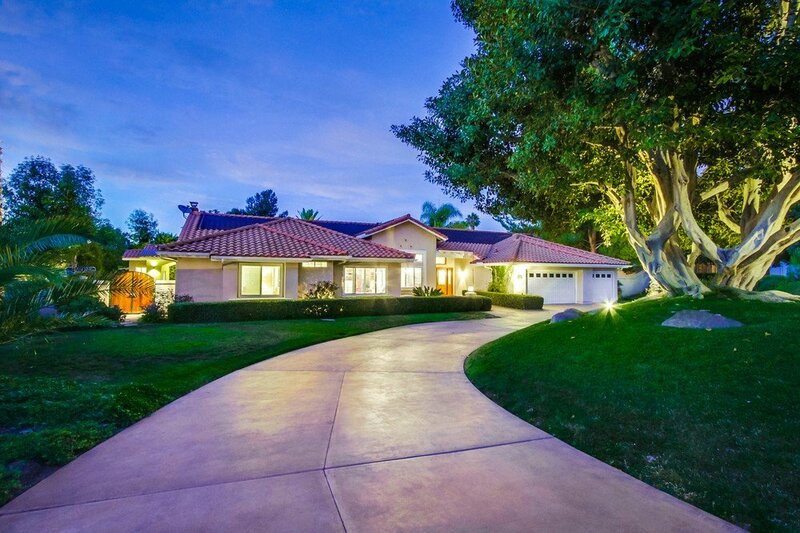 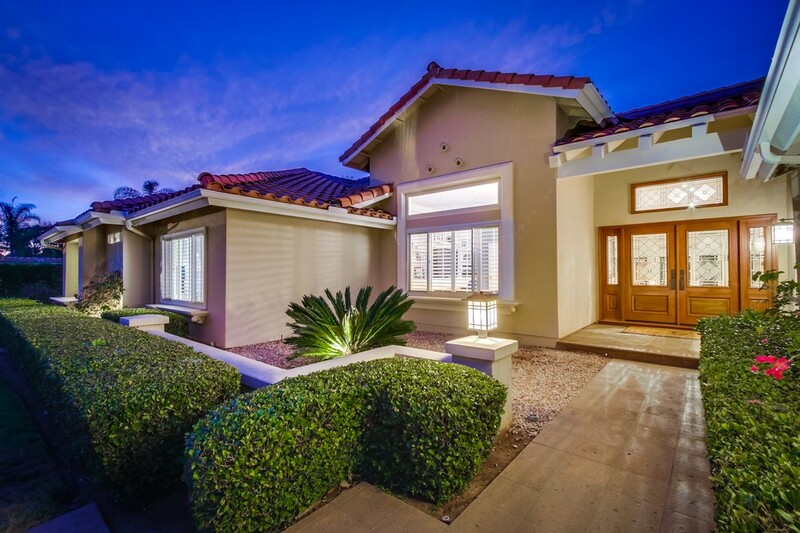 Timeless and elegantly updated single level 4+BR/3.5BA home in highly sought after gated community of The Grove. 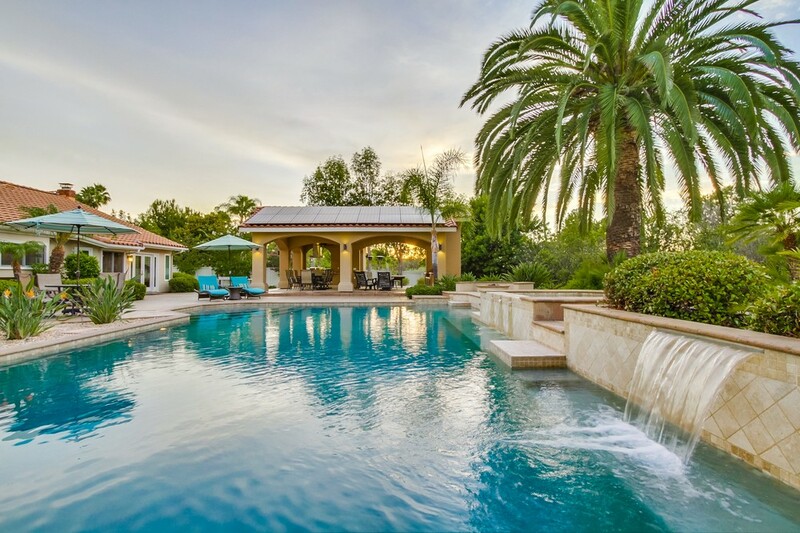 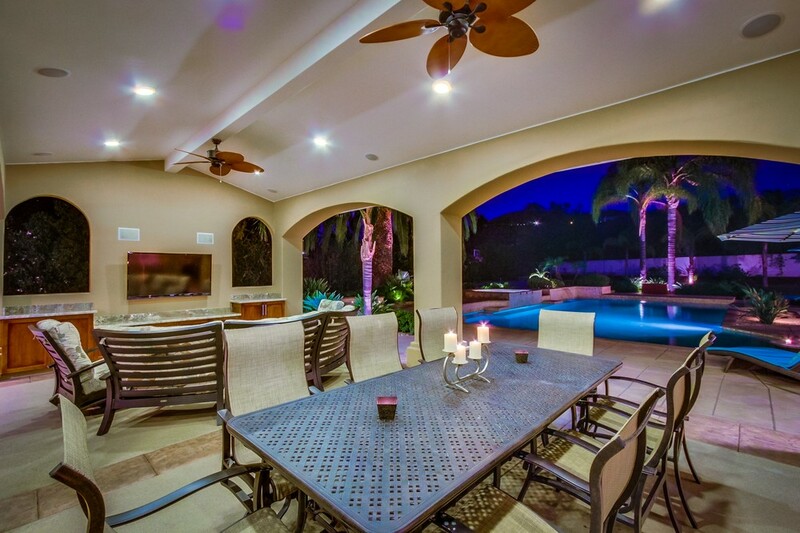 This magnificent property features approx. 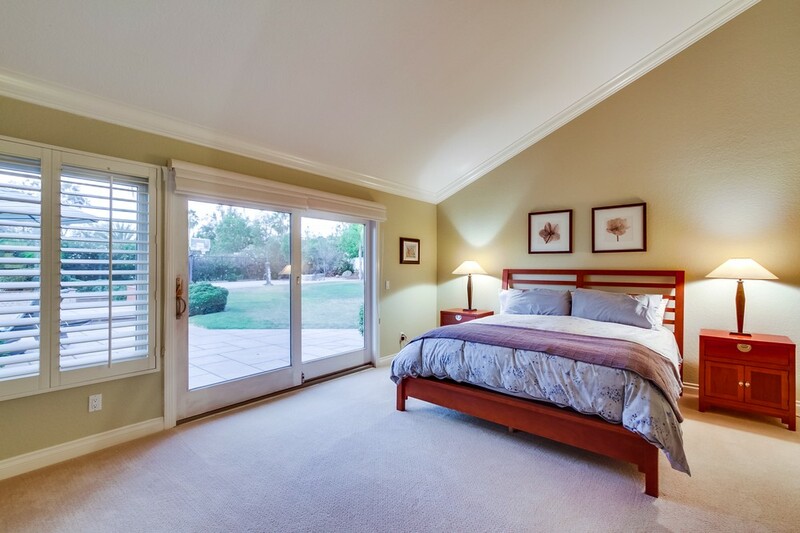 3,671 sq. 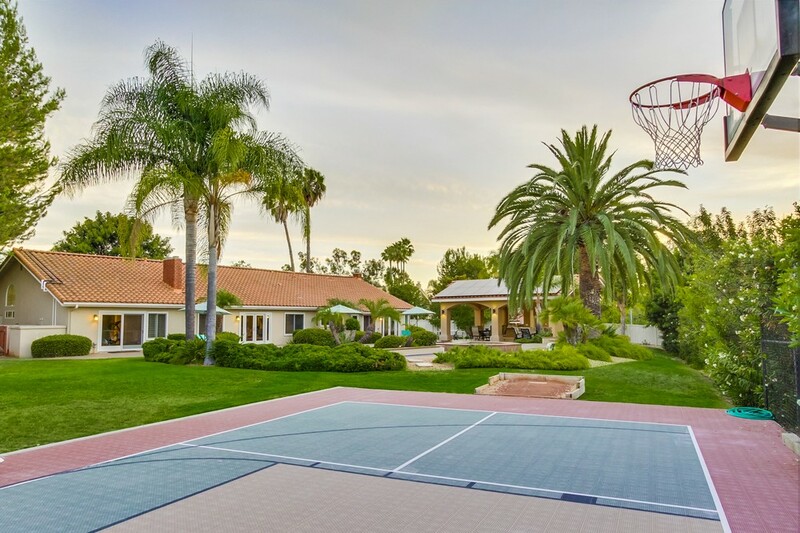 ft. and sited on a private 1.11 acre lot. 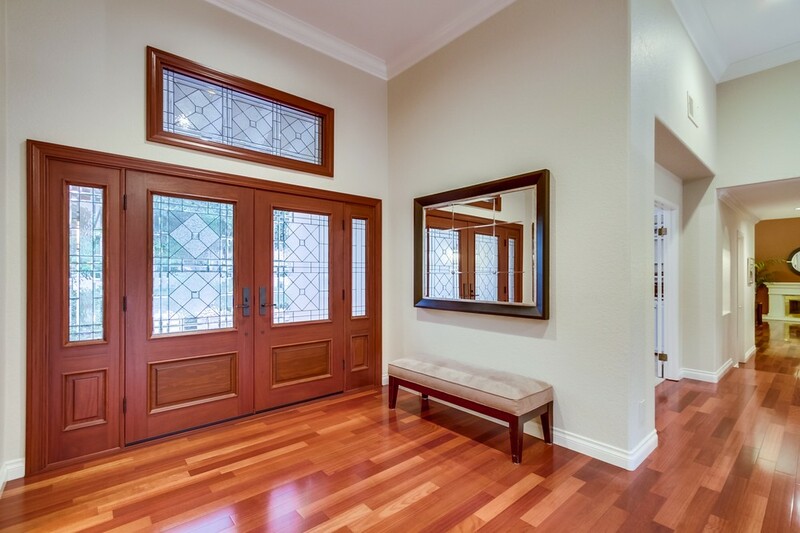 Step through the gorgeous double door entry to the foyer with beautiful wood flooring. 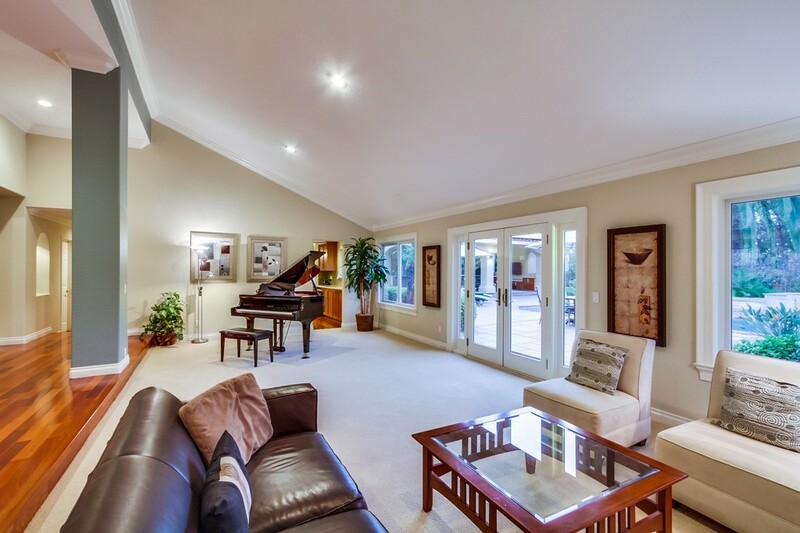 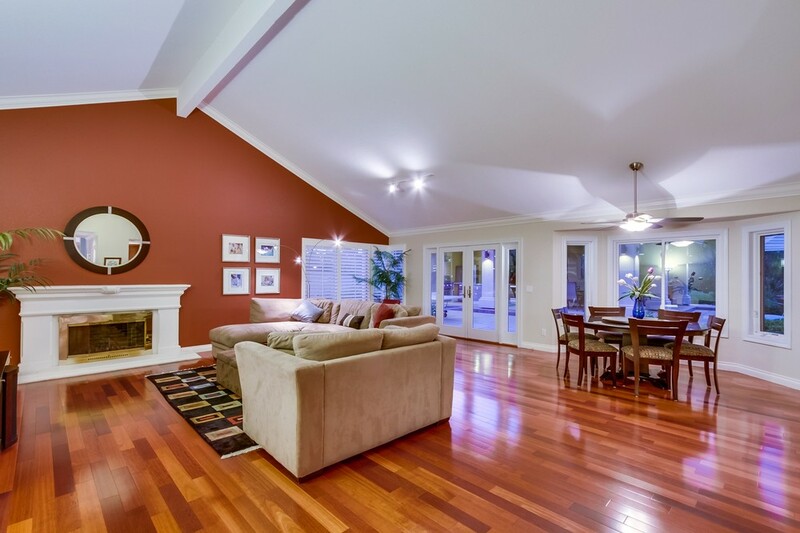 The formal living room boasts plush neutral carpeting, volume ceilings, fireplace and French doors to exterior. 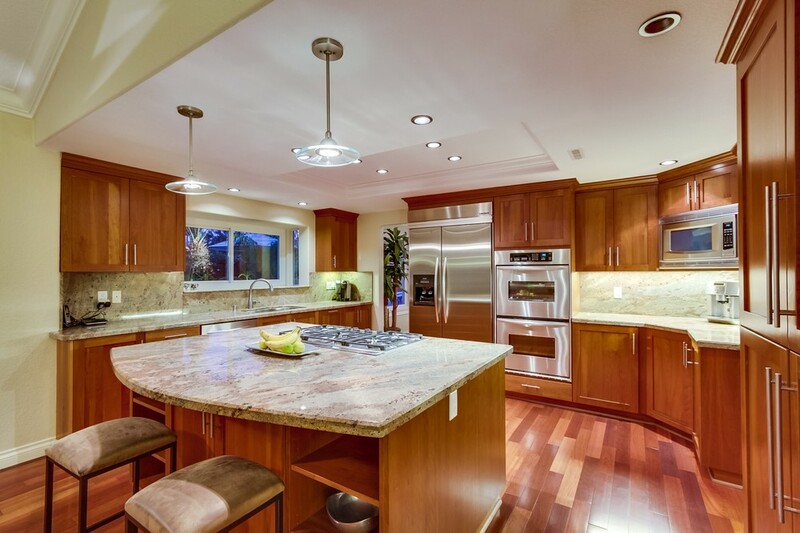 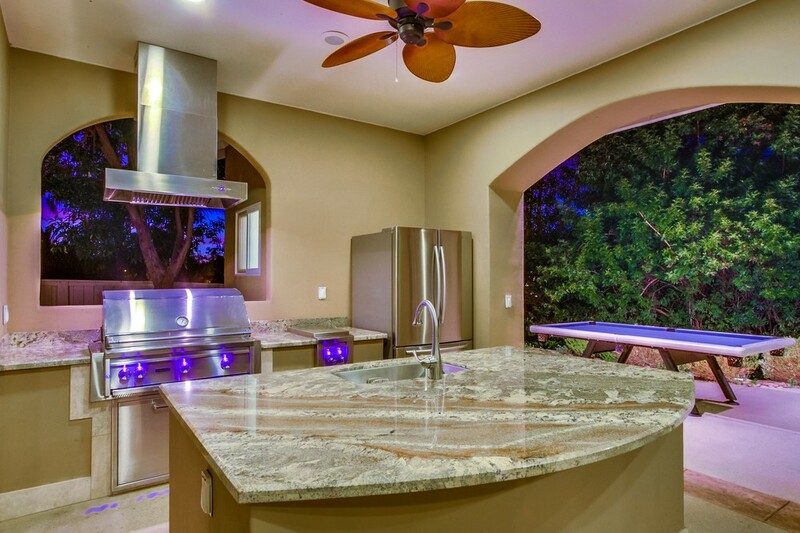 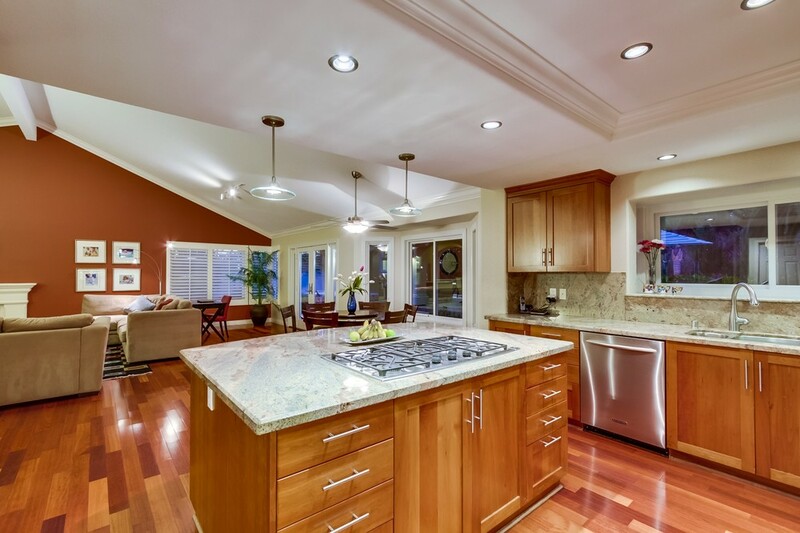 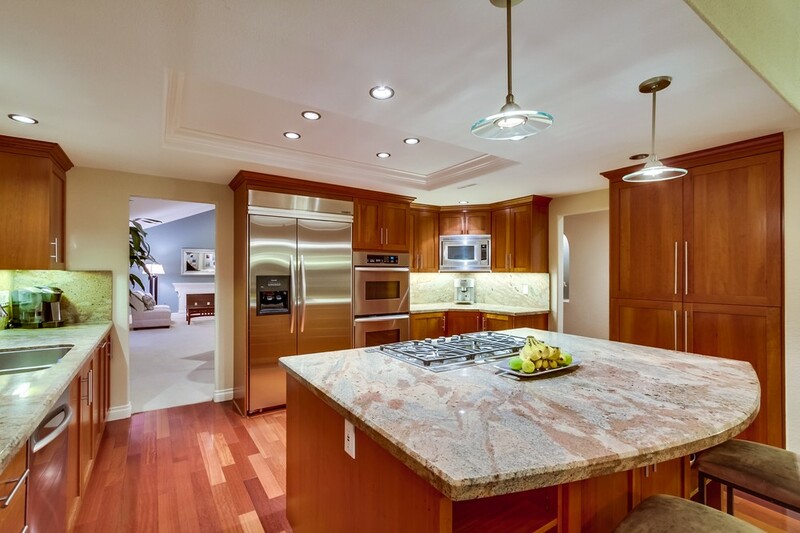 A chef’s delight kitchen features custom cabinetry, stainless steel appliances including double wall ovens, built-in refrigerator and microwave, large center island with 5 burner gas cooktop and gleaming granite counters and backsplash. 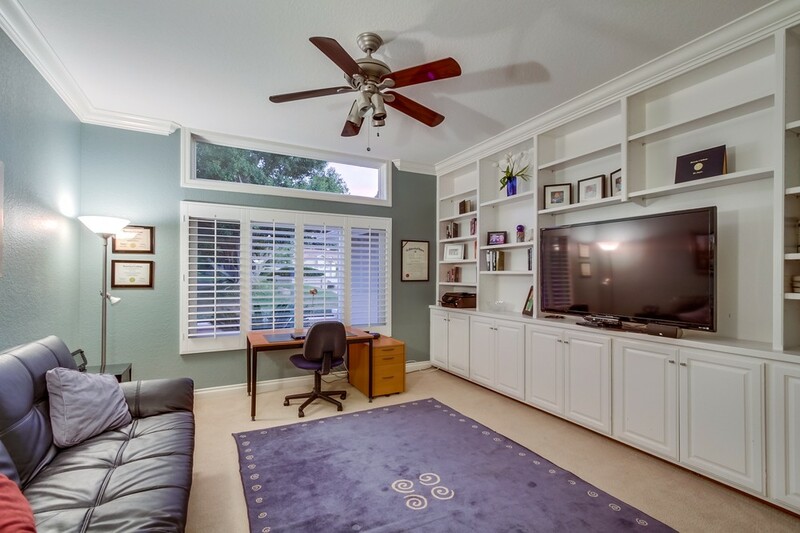 Spacious family room adjacent to the kitchen has volume ceiling, fireplace, hardwood flooring and French doors to patio. 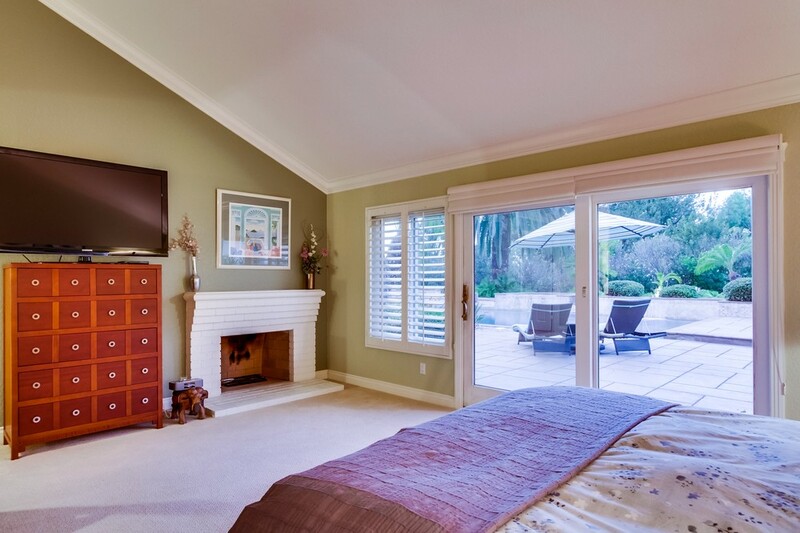 Retreat to the relaxing master suite with romantic fireplace and French doors to the parklike backyard. 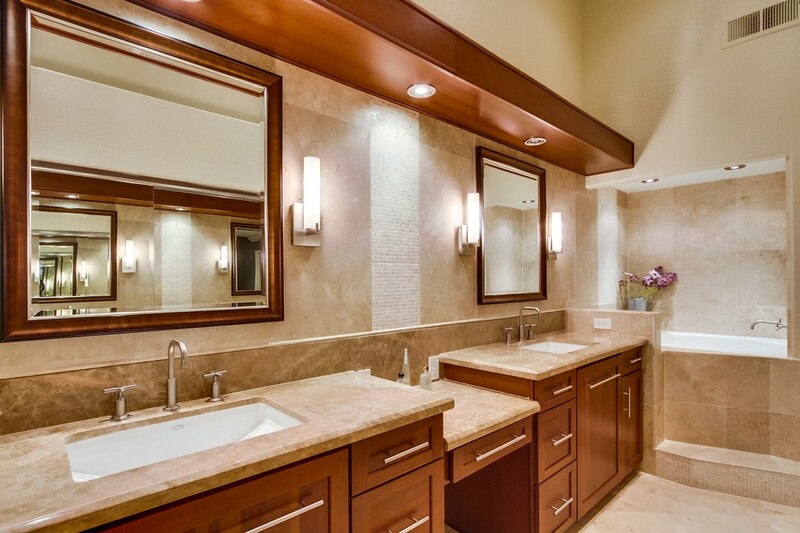 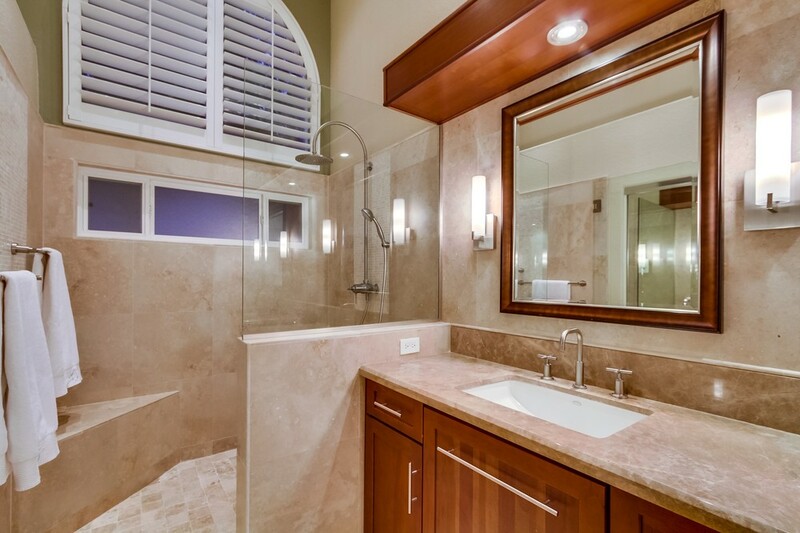 A luxurious spa like ensuite bath with dual sinks, vanity, large Travertine shower and separate Japanese soaking tub. 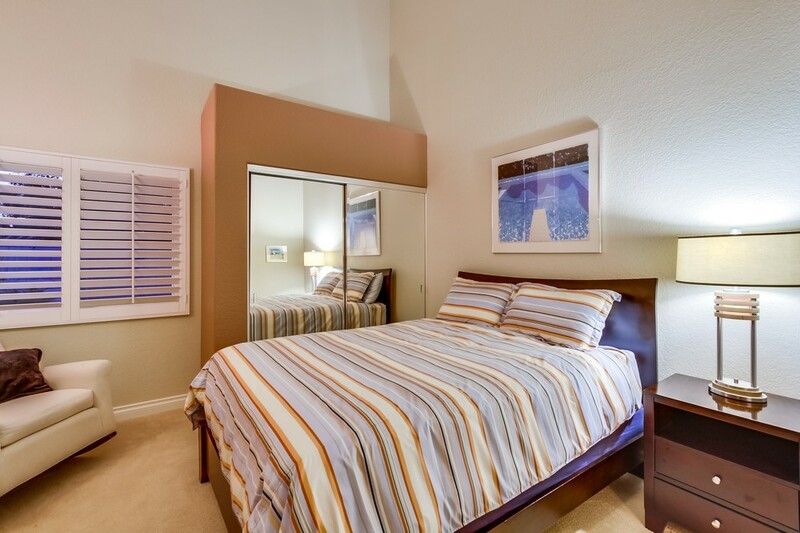 Generously sized secondary bedrooms, office with double doors and custom built-ins. 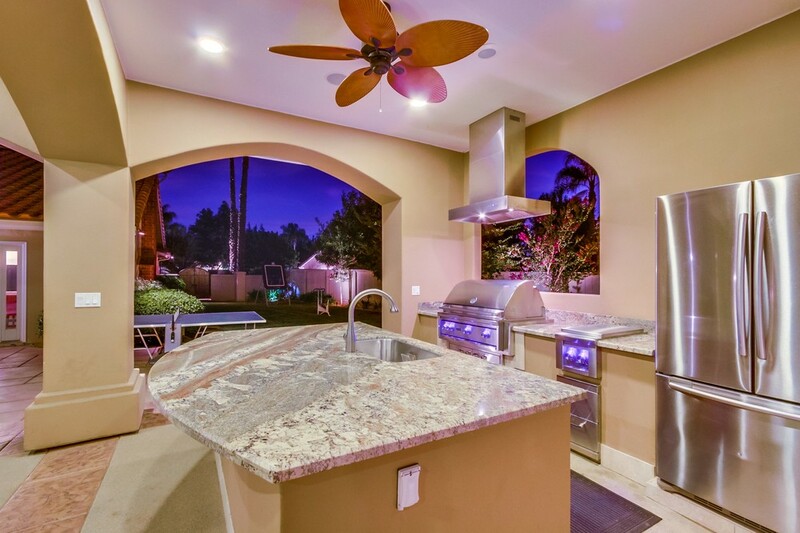 The backyard presents an entertainers dream boasting a sparkling pool with spa and waterfalls, generous pool pavilion with conversation area, built-in cabinets with granite counter and outdoor kitchen with granite counters, gas BBQ with vent hood, a large island with sink and separate bathroom. 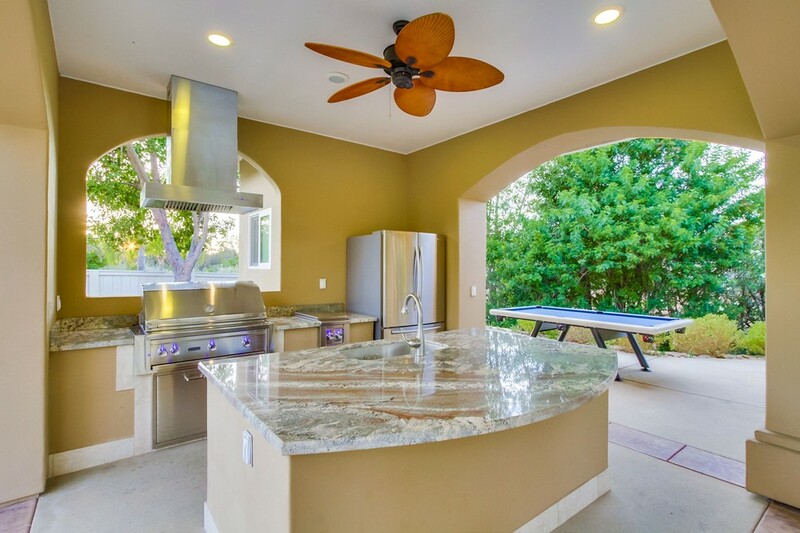 Enjoy over $400,000 in upgrades including; remodeled kitchen and bathrooms, pool pavilion, sport court, windows, solar panels for pool, pool remodel, new front doors, crown molding, French doors, hardwood flooring, plantation shutters, ceiling fans and expanded backyard for additional play space.